WHY HAVE AN EGG SHAPED CRYSTAL? Egg shaped crystals are well known for their aesthetic beauty. They are popular for those that practice acupressure and other energy healing modalities. Egg shaped crystals are known to hold energy that can find imbalances in the body. GREAT FOR ANY HEALING PRACTICE , DISPLAY OR CRYSTAL COLLECTOR!! gemstone egg tumbled and polished to a high gloss. Each egg is different and unique with colors, patterns and tones. color. Yours is chosen by random selection only. RHODONITE: Fertility, Purity, Rebirth, Restore vitality, foresee the future. 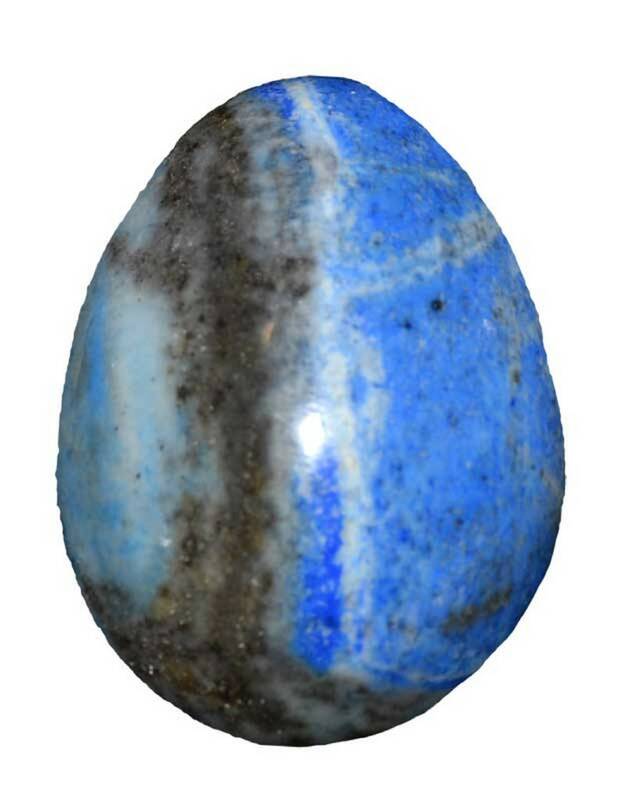 Relaxation, balancing, clears psychic centers, ward off negativity and known as a rescue stone. Rhodonite egg, for the gemstone egg collector. Yellow Calcite is associated with the solar plexus, self confidence and hope. It is said to be effective at clearing out old energy patterns and increasing personal motivation and drive. ... For physical crystal healing calcite is said to be helpful for conditions of the joints, visual disturbances and viruses. Typical colours - Clear-to-translucent red brown which may vary from a pale orange to pink, or from grey to an intense almost black. A stabilising stone, Carnelian restores vitality and motivation, and stimulates creativity. It gives courage, promotes positive life choices, dispels apathy and motivates for success. Emotionally, Dragon Blood Jasper helps to lift the emotions, bringing vitality and joy. Mentally/Psychologically, Dragon Blood Jasper is a stone of personal power. It provides strength, courage, and purpose to help face difficulties and to heal repressed emotional issues. Selenite healing properties are all about activation and reaching higher planes. It is known for connecting to the third eye, crown, transpersonal and Etheric chakras. Through radiating light energy, it promotes purity and honesty. It forces the person holding it to be honest with themselves. Don't Forget to Add Your Review in Our Strega Luna Facebook Group ! Didn't Make a Purchase Yet? Join Us on Facebook Anyway! We Would Love to have you there! best place to buy crystals,best place to buy gemstones, crystals for friendship, healing crystals for, crystal healing for, psychic healing stones.